When AirAsia Flight QZ8501 disappeared on Sunday, its black box and any evidence of what went wrong may have vanished with it. In a time when we stream Netflix on our laptops, get music instantly on our phones, and use Wi-Fi on airplanes, why isn't air flight data transmitted in real time? One option for it is sold by Canadian company Flyht Aerospace Solutions. The company's Automated Flight Information System automatically monitors data about a plane's location, altitude and performance. It can live stream information when something goes wrong -- from little problems that can be fixed when the plane lands to disasters that can cause a crash. 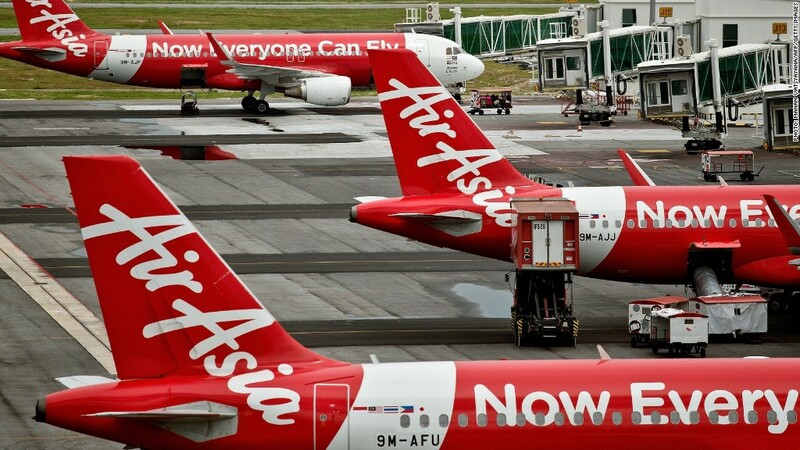 Flyht President Matt Bradley said his company's system was not on board the missing AirAsia jet. But if it had been, he added, it would be easier to locate the downed airliner. On a normal flight, Flyht's system would send updates from the cockpit to the ground every five to 10 minutes. But it can be programmed to recognize when something is wrong, such as a deviation in a flight path, and automatically begin streaming data every second. The potential benefits of live streaming were widely discussed after Air France Flight 447 crashed into the Atlantic Ocean in 2009. It took two years to recover the flight data recorder. The conversation started up again after Malaysia Airlines Flight 370 disappeared in March. That plane has still not been located. Since Flight 370 went missing, Canadian regional carrier First Air became the first to activate Flyht's streaming systems on all its planes. But the technology is not catching on with major carriers. Skeptics point to several reasons why. For starters, industry consultant Michael Boyd pointed out, planes rarely completely fall off the grid. "Up until now, we haven't had a need to track all airplanes," Boyd said. "Why would we do it if we don't have to?" Another problem: widespread use of live streaming technology would create an overload of information, making it hard to analyze properly. But in the end, it comes down to cost, experts said. "[Airlines are] very cost sensitive," said former inspector general of the U.S. Department of Transportation Mary Schiavo, who is a CNN aviation analyst. "They simply will not add additional safety measures unless mandated by the federal government." Flyht counters by saying that its system, which typically costs less than $100,000 to install, is designed to save carriers money. The company says a carrier can recover its initial costs in a matter of months by using the technology to help cut fuel costs or troubleshoot mechanical problems. "When you have better visibility on how you're burning your fuel and what's going wrong with the aircraft, you can be more proactive," Bradley says. "If something goes wrong, you get parts to the right place. You get mechanics to the right place. It's just a more efficient operation." Given recent events, Boyd said he expects carriers to start adopting solutions soon. "Within the next three years, I predict new airplanes will have something," said Boyd. "If my GPS in my car knows where I am, and my cell phone knows where I am, I think we can find a way of finding a 747."